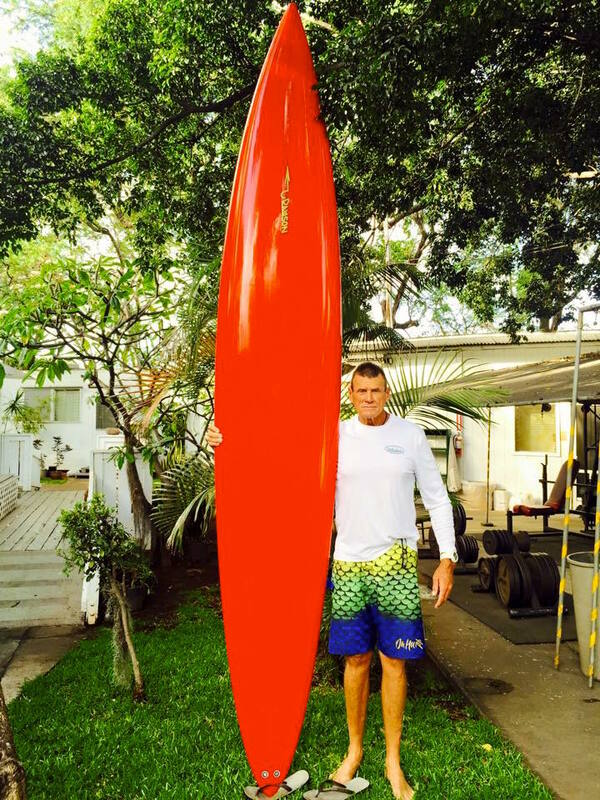 Mike Coleman is an accomplished big wave rider, and his goal was to have an 11’6 Quad design that paddled extremely well into 20-25′ Makaha Point surf, but could still freely maneuver on the face as well. The board pictured is what we collaborated on at 11’6 x 23 1/2 x 4 3/8. Finished weight was about 23 lbs without fins for board momentum and wave penetration.